Anterior cruciate ligament (ACL) repair involves reattaching the portion of the ACL that has avulsed off the femoral wall. An augmented ACL repair may also include the use of autograft or allograft tissues. 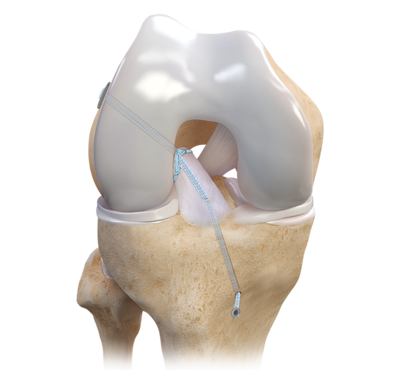 This procedure is performed arthroscopically and involves suturing the remaining ACL and anchoring it back to the existing ACL femoral footprint. It may also involve creating tunnels in the femur and tibia, allowing passage of the graft material to reconstruct the ACL. Our accumulated experience and constant innovation in knee reconstruction has redeﬁned knee surgery with the next generation in knee ligament repair technology. 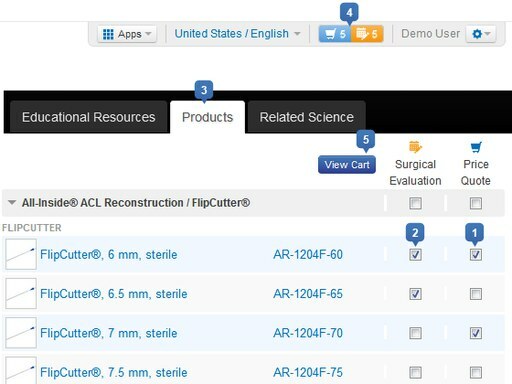 This Arthrex ACL repair technique uses the latest in ligament repair products such as SwiveLock® anchors, FlipCutter® reamers, FiberTape® sutures, and ACL soft-tissue graft fixation. For more information on these products and techniques, refer to the Educational Resources tab.